Fibraurea recisa belongs to Menispermaceae family. It is a woody, climbing plant found growing wild in the mountain areas of Burma, China and Vietnam. Alkaloids (3%), mainly from 1 to 3.5% palmatin besides jatrorrhizin, columbamin and berberine. To clear heat, inflammation, antiseptic. Palmatin have inhibitory effects on intestinal bacteria and can slow down keratinocyte separation in hair follicles, the cells responsible for hair growth. It is used to reduce inflammation, cure enteritis, cystitis, hepatitis, eye pain, pimples, fever, dysentery, palpitations, and insomnia. This herb is also raw material to extract palmatin. Dosage: 6-12g day, decoction form. 1. 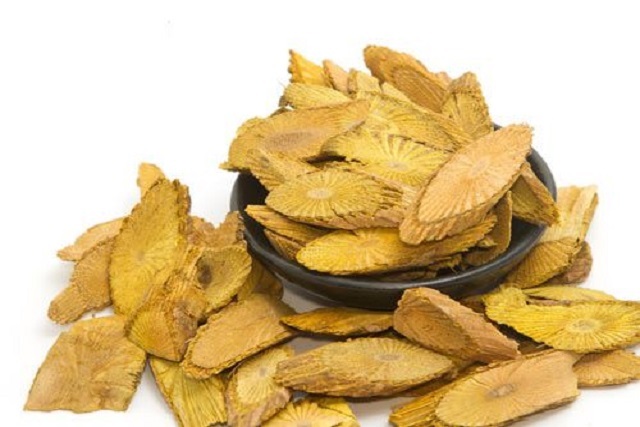 Relieve urinary tract infections, inflammation grams virus, vaginitis, transparent tropical, ear infections and dysentery syndrome: Prodigal, Rustic pine, Blood example, each of 10-12g, excellent drink. 2. Purulent otitis powder mix with prodigal alum 20g 10g, blowing steadily in ear 2-3 times a day. 3. Red or swollen eyes webbed: Prodigal 4g, alum a little, small distribution, distillation in a water leach small but eye. Or use chlorhydrat palmatin powder mixture into a solution for eye drops. Sometimes they coordinate with Hoang Lien Hoang cook behind the eye lozenges. 4. High-level powder prodigal and white flowers, or high combination of high grass and milk is also used Prodigal large leaves do cure dysentery tablets.